Pet microchipping is not a new form of pet identification, but it is an option that has become increasingly popular over the past few years. This form of identification has proven itself to be extremely effective in returning lost pets to their owners, making it all the more important for you to visit a Johnston veterinarian today to learn more. For now, let's take a look at what a pet microchip is and how it can be of benefit to you and your pet. A pet microchip is a form of identification for your pet. Unlike tags, though, a microchip is an electronic form of identification. Also unlike a tag, a microchip is extremely small in size, about the size of a piece of rice. It is inserted just under the skin between the shoulder blades on the back of your pet. Were your pet to become lost and found, the microchip can be scanned and the rescuer can identify who the pet it and where it belongs. It is crucial that the information stored in the microchip's database be updated regularly to ensure the most current information is correct. For example, if you have your pet microchipped and you register the microchip with a phone number and address but then you move to a new address and change your phone number, then you need to ensure the information is updated in the microchip's database or a rescuer of your pet won't be able to properly identify where your pet belongs. Is The Microchipping Process Painful? 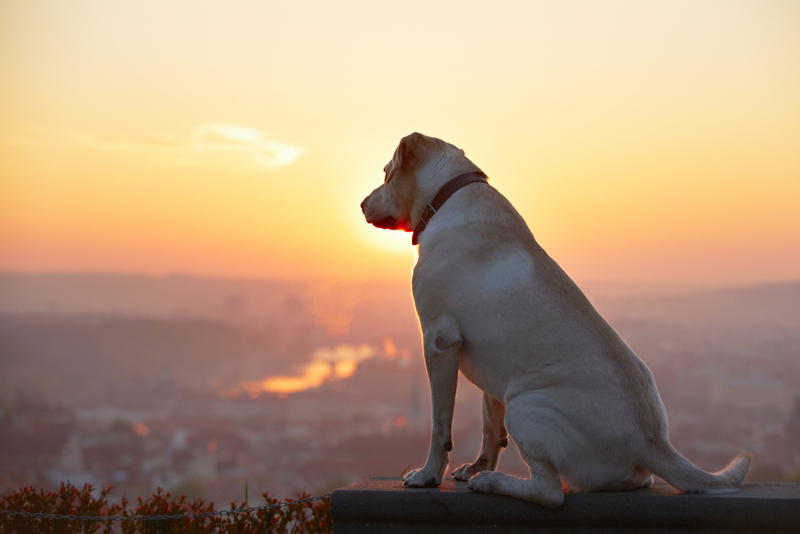 One of the most commonly asked questions is "is microchipping my pet painful?" The answer is no. Sure, it might cause a small amount of discomfort during the implantation process, but this discomfort almost immediately subsides. If your pet is not microchipped, it is highly encouraged to go through with the process by visiting an Urbandale veterinary clinic today. How Old Does the Pet Have To Be? Ideally, you should have your pet microchipped as early as possible. You may not want to take him into the vet the day he is born, but generally, the sooner the better. If you can have your pet microchipped within the first few weeks of life, this is going to be highly beneficial in the event that he gets lost during his early life. The longer you wait to have your pet microchipped, the bigger of a risk you are taking in him being lost forever. Contact Your Johnston Veterinarian Today! Schedule an appointment with your Johnston Veterinarian at Rush Animal Care Clinic P.C. Call us today at (515) 270-2240.